In the age of less is more, minimalism is taking over your home interior. I’m sure you know Netflix has brought a new interior superhero to your life, Marie Kondo, who is an icon of the minimalist decor. Indeed, Kondo has developed a simple and practical approach to decluttering, helping everyone to clear out their overcrowded wardrobes, shoe closets, and bookshelves. Ultimately, Marie Kondo delivers a memorable message in our society of consumerism: You don’t need everything. When you declutter your home feels more spacious and liberated from a burden. 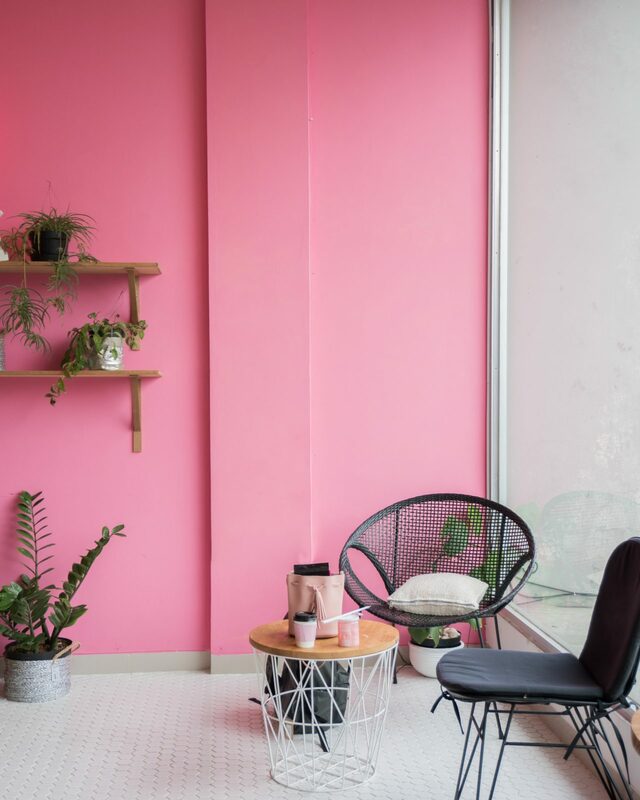 If you’ve just purged your home following Marie Kondo’s method, you are probably in need of some guidance to create an attractive and beneficial minimalist interior. Decluttering is only the first step. Learning positive habits and routines can help you to create a space that feels and does good for you. Goodbye old frying pans, accumulate fruit canisters in the cupboard and that one cookie-cutter you never use. Decluttering your kitchen can leave you with a relatively empty room, with only multifunctional items from your food processor to your cooking pots. However, not everything should serve multiple purposes. Your cleaning gear, for instance, needs to combined several sponges and cleaning products to make sure your kitchen stays safe. Indeed, it’s a bad idea to keep one sponge for everything! To keep your cleaning efforts under control, you can consider a hygiene-friendly kitchen counter design. Since not all materials have the same properties, it’s fair to say that your plywood counter can encourage bacterial buildup. Opt for sturdy and elegant materials such as granite and quartz can help you to keep your minimalist kitchen clean and healthy. At its heart, minimalism emphasizes space, openness and peace. With less clutter in the house, the attention is turned toward your fresh and clean design. When creating a fresh space, you should also consider air quality. Nobody wants a beautiful room to feel stuffy! That’s precisely why you need to maintain a natural airflow inside your home. Old and faulty ventilation systems in the bathroom, the kitchen and even within your A/C/ units have to be replaced regularly. Old filters not only fail to encourage air circulation, but they can also lead to mold growth in the long term. Keeping the air circulating freely inside your home gives your interior decor a sense of cleanliness and freshness that suits a minimalist household. However, ventilating your room doesn’t prevent the presence of air toxins to affect your health and mood. Indeed, materials such as plywood and plastic can release harmful particles in the air. When stripping your home bare isn’t an option, you need to consider minimalist solutions that help purify and improve your interior. Houseplants are a favorite when it comes to could clearing toxins out of your home. Dracaena plants add a stylish touch to any room, and they can remove formaldehyde and benzene from the air. Ficus plants are also an elegant addition that can work wonders at cleansing airborne particles. Most minimalist interior decors you can find online tend to focus on a monochromatic style with a handful of bold color statements. When creating your dream interior, you need to be careful about setting the appropriate mood for you. According to color psychology research, the hues that surround you impacts your mood and feelings. Indeed, red, for instance, is typically used to inject energy and passion into the decor. However, if you’re naturally energetic and dynamic, it might create negative feelings instead. Blue is used to encourage tranquillity and peacefulness, but it can also lead to feelings of sadness and indifference. In short, pick the colors that work for your personality! A simple bedroom can be charming, but you need to refrain your minimalist aspirations if you want to keep your health in check as well. Indeed, neutral palettes are a favorite, but it’s important to inject some personality into the room via colorful items. Hygiene specialists recommend washing and changing your bed sheets at least once every fortnight. You should also wash your duvet several times a year to keep dust mites at bay. Your pillows should also be washed every couple months to keep everything feeling fresh. 6. Is Your Minimalist, Modern Living Room Causing Harm? Smart home solutions are the latest minimalist trend. When all you need is a screen to control your house temperature, lighting, and even grocery shopping, it’s easy to understand why modern minimalism is putting displays at the center of the decor. From the TV to your smartphone, there is a screen in most rooms. However, excessive screen time can be damaging for your health. It can increase eye fatigue and affect your creativity too. Your minimalist home needs to mesh with your health and aesthetic concerns. Less is, indeed, only more if it matches your needs in the first place. Otherwise, less remains not enough.